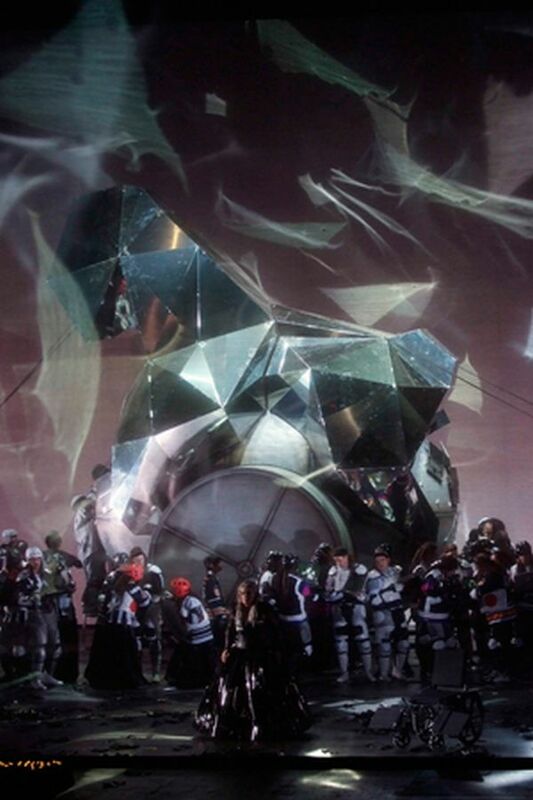 Les Troyens from Valencia, with La Fura dels Baus. The hockey-loving Trojans upload the Horse. The new DVD recording of Les Troyens, (conducted by Valery Gergiev and filmed at the gorgeous Calatrava-designed Palau des Artes Reina Sofia in Valencia, Spain) is a performance that, like Berlioz' bipartite opera, splits squarely down the middle. Part of that is the return of Catalan theater troupe La Fura dels Baus, who apply some strange (but curiously literal) ideas to Berlioz's operatic version of the Aeneid. Despite the onstage weirdness (which we'll get to in a minute) this is a compelling performance of the score, robustly conducted. Lance Ryan is a strong vocal presence as Énée, keeping his stamina up over five taxing acts. He looks remarkably like he did in Siegfried (staged at the same theater) recycling his bad-boy dreadlocks and keeping up the bluff charm. Daniele Barcellona is a compelling, if motherly Didon, appearing from the depths of a particle accelerator like a sweet-singing God particle. Elisabete Matos is a compelling Cassandre, undercut by being forced to produce soprano chest tones while her character is confined to a wheelchair. Gabriele Viviani is good as the second tenor Chorèbe. Danish bass Stephen Milling is a welcome presence as Didon's minister Narbal. 12 Survival Tips for the Months Ahead. 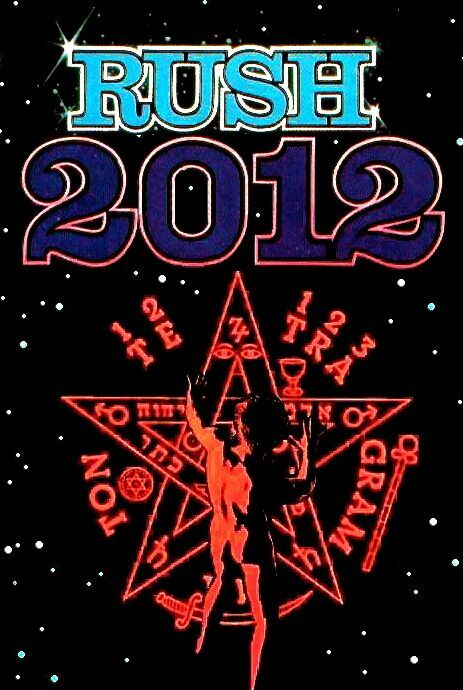 The Mayan calendar predicted that the world ends in 2012. According to the opera schedule, the Mayans were right. Bang on a Can turns 25. The New York Philharmonic's holiday feast. 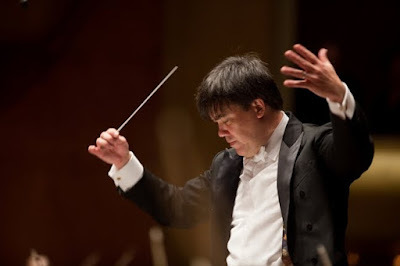 Cooking with a baton: New York Philharmonic music director Alan Gilbert. Photo by Chris Lee © 2011 The New York Philharmonic. On Wednesday night, the plain hardwood walls of Avery Fisher Hall's stage were draped with long skiens of crimson and purple fabric. I asked an usher on the way in, why the adornment? "Oh, it's the holidays," she said. "And we're glad to have Alan Gilbert back." This concert marked the first return of the Philharmonic music director to his home podium after a two-month absence, including a tour of Europe. But the program chosen for his return was dull by this conductor's standards, featuring familiar works by Haydn, Schubert and Ravel. The concert opened with Haydn's Symphony No. 88, a rarely heard piece that stands as a kind of "odd man out" between its more famous brothers written for Paris and London. The work shows Haydn in post-Ezterházy experimentation, expanding his orchestral palette. Mr. Gilbert took an incisive approach to the four movements, drawing crisp textures from the timpani and percussion and some lyric playing from principal cellist Carter Brey. The orchestra was then joined by Swedish mezzo-soprano Anne Sofie von Otter for a set of Schubert songs, heard here in orchestral transcription. The selections were a "greatest hits" from the huge Schubert catalogue. Ms. von Otter's voice may be narrowing, but she still proves an engaging storyteller and a compelling stage presence. Highlights were the Britten orchestration of Die Forelle ("The Trout") and Max Reger's mournful, searching version of Gretchen am Spinnerade, based on Goethe's Faust. The set ended with the same composer's version of Erlkönig. Although the orchestration lacks the impact of the piano original, Ms. von Otter drew chills when she changed voices and embodied Schubert's supernatural kidnapper. The second half of the concert opened with the charming ballet suite Ma mère l'oye, Ravel's setting of children's stories commonly accredited to one Mother Goose. This work has its origin in a set of five works for piano four hands, written for the Swiss composer's niece and nephew. Here, it was Mr. Gilbert who made a case for the orchestrated version, drawing shimmering, exotic textures from the Philharmonic players. In its orchestrated form, Ravel's orchestration allowed the listener to experience instruments that are not always featured. Especially interesting to the ear was the virtuoso part for contrabassoon, (played here by Arlen Fast) in Les Entretiens de la Belle et de la Bête and the soaring walls of sound built by the horns and trombones. The final orchestral swell of Le Jardin féerique rose to an inspired height, buoyed by trumpets, oboe and clarinet. The concert climaxed with La Valse, another reliable piece by Ravel. This allowed the percussionists to shine as the orchestra (finally appearing at full strength) swung through the demented triple-time textures and expertly navigated the pitfalls of meter and rhythm written meticulously into the score. Mr. Gilbert turned terpsichorean himself, dancing on the podium as the waltz turned and whirled. He seems more relaxed conducting without a score, anticipating each turn of the music and taking aim with his baton at soloists when the turn came for them to shine. Contact the author: E-mail Superconductor editor Paul Pelkonen. Eleven individual performances worth mentioning. We continue our ramble through the back pages of this blog with a year-end look at the eleven best opera performances of 2011. Again, this is sorted chronologically, so it's a pure (but weird) coincidence that the first five entries are male and the latter six are female. (No sexist, I.) And there's no organization by voice-type either. Just really good singing and acting. "Kevin Burdette made an impressive company debut as Death, mugging with John Cleese-like abandon and delivering his noble, impressive music with flair. Mr. Burdette doubled in the role of the Loudspeaker. This allowed director David Schweizer to re-imagne the dialogue between the Emperor and his underlings as a series of prank phone calls as Death repeatedly "punked" the Emperor." As played by Alexander Lewis, Vacal's handicap became a source of charm, and the opera's most uplifting moment comes when the singer overcomes his alalia syllabaris and sings out. When he starts dancing in the third act, it is a moment of real joy. "Sanford Sylvan showed exceptional versatility and range in the title part, taking his baritone down to the depths of Cardillac's depravity and floating pianissimo high notes when needed. His portrayal made the jeweler's decision to kill his customers seem almost reasonable, pulling the audience in as co-conspirators as he preyed upon the elite." "Mr. Held sang with dark nobility in the opening act of the opera, creating a defensive barrier around the character that was slowly torn down. Things shattered completely when he was cuckolded in the second act, and then beaten brutally by the Drum Major. In the final act, he brought whoops of despair and madness into his performance, making his final drowning a poignant, pathetic spectacle." Mr. Kaufmann's sturdy stage presence and perfect German diction make him the best Siegmund to sing at this house in many years. As he seized both the sword and his sister Sieglinde, his final cry of "so blühe denn, Wälsungen-Blut!" rose to an ecstatic, swelling high note. Then, he held it, riding over the crashing wave of the orchestra and drawing a storm of applause. Ms. Bayrakdarian displayed an agile soprano instrument with a pleasing tone and the right amounts of light and shade. She also manipulated the complex costume (including a nearly prehinsile fox-tail) easily, coping with the challenging choreography on the somewhat limited stage. "The long, arching phrases sung by her character recall the writing of Richard Strauss, and the sheer animal panic as she is marched to the scaffold recalled the frantic fate of a certain Puccini heroine. This was a devastating performance combined with difficult physical acting, particularly in the heart-stopping stunt of Selma's execution." "The soprano part is both long and treacherous, all the way up to a high C# at the very end. Meagan Miller, a past grand finalist at the Metropolitan Opera's vocal competitions, handled the part with power and beauty of tone." "Jennifer Rossetti met the challenges of the ten-minute "Grossmachtige Prinzessin", including the high F notes called for on the fioratura passages. More importantly, she imbued the part with an easy sexuality and had good chemistry with the four players in the troupe." "Ms. Netrebko is currently a jewel among international opera stars: she is a woman of great pulchritude, and no mean singer. But what impressed in Anna was how the soprano brought dramatic weight to the small, seemingly insignificant lines of dialogue that drive the plot forward. Her attention to detail helped elevate Anna from bel canto pot-boiler to the realm of music drama." "We mourn when she tells how her children died. And when she tries to follow Eliza and leave the ranch, we grieve when she throws herself from a cliff. This is not a Tosca suicide. It is more along the lines of Butterfly." Visit the rest of the 2011 Year in Reviews, our account of the year that went to "'11". 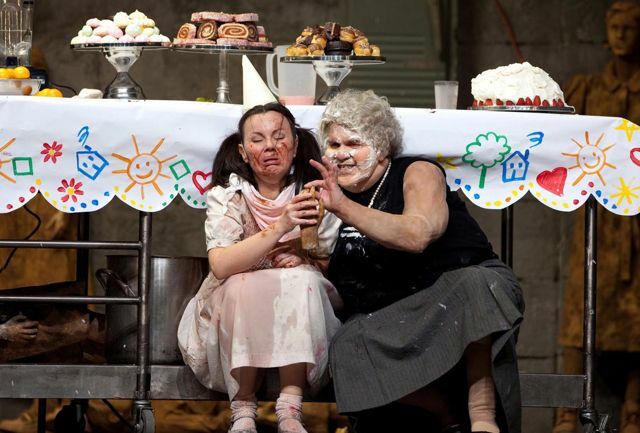 Opera Manhattan mounts Hansel & Gretel. A German 10-pfennig stamp with Hansel, Gretel and the Witch. On Tuesday night, Opera Manhattan offered a charming modest version of Engelbert Humperdinck's holiday classic Hansel und Gretel at the Acorn Theater on W. 42nd Street. It was a refreshing, traditional take on the German opera, performed in an "interactive" English translation. Bryce Smith's company is offering a welcome alternative to the big-budget version being staged further uptown. This is Hansel on a shoestring, with music director Jennifer Peterson playing the entire score at an onstage baby grand. Well, not the entire score. The famous Overture and Witch's Ride were cut, and the opera's three acts were condensed to 80 minutes and played without a brake. Directed by New York City Opera veteran Beth Greenberg, this was a spare, but enchanting production. The set consisted of projected images, a small army of fake white Christmas trees and a few props. Three young opera-goers linked arms and became the gingerbread house. They were paid for their work in chocolate gelt, lollys and real gingerbread. Mezzo Sahoko Sato and soprano Megan Candio made an engaging, energetic pair of siblings as Hansel and Gretel. Ms. Sato brought a tomboy attitude and exaggerated mugging. Ms. Candio is a remarkably flexable dancer with a supple soprano instrument. Her choreographed moves while under the Witch's control were a welcome comic surprise. Heather Roberts played the Witch relatively straight, engaging in evil cackles and vocal effects. This mezzo has an impressive range from the bottom of her chest voice all the way to the very top. In a humane touch, she was not baked into ginger-bread, but run offstage by Gretel. At the end, the Witch was pelted with "snowballs": white shower puffs thrown from the audience. Nathan Fuhrman offered a firm, resonant presence as Peter, even with his long build-up to the Witch's Ride proving anticlimactic. This singer's deep voice offered comfort and strength in this part, especially in the opera's closing bars. 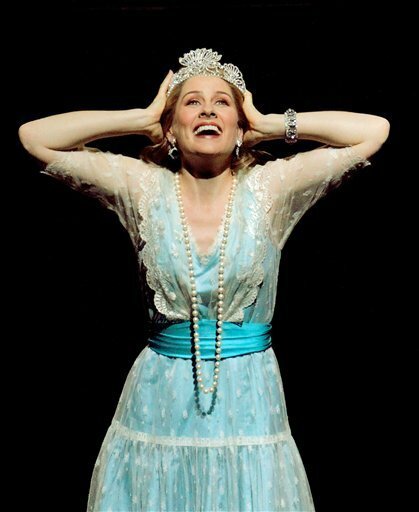 As Gertrude, Korin Kormick displayed a powerful voice that may be too big for the cozy Acorn Theater. Elana Gleason doubled as the Sandman and Dew Fair. She also served as host of the performance, wrangling the kids on and off the stage and keeping the young audience members involved in the opera. In the finale (which was missing the usual chorus of children), she returned to the stage and sang the third part, filling out the harmony and helping to bring this performance to a satisfying close. Hansel & Gretel runs through January 1. More information at the official website of Opera Manhattan. We look back at 2011, the year that turned it up. Like Nigel Tufnel's amplifier, this was a year that went over the edge. Image from This is Spinal Tap © 1984 Embassy Pictures. We're at the end of another year here at Superconductor. There were a total of 467 posts (or an approximate average of one and a half articles a day.) Not bad when your ambition is to write publish and edit a daily blog. More are coming. There were also posts that had little to do with reality: a privilege of being one's own editor. Dragons being paid (in English gold coins) to live on top of the Metropolitan Opera House and sing in Siegfried. The New York City Opera's plan to move to a Brooklyn water treatment plant. So we're going to use this opportunity to look back (mostly fondly) at a very busy year. It started a New Year's Day review of Palestrina, and will (eventually) include this week's forthcoming reviews in the grand total. I went to the opera 70 times, if you count a few live telecasts and broadcasts. Includes Strauss, Rossini, but surprisingly, no Wagner. Eleven reviews of great performances from different companies, with honorable mentions at the end. When you see almost six dozen operas, you're bound to catch some good performances. We break down the 11 best, in all vocal shapes, sizes and styles. Attended 95 of these this year. A recount of the eleven best experiences to be had sitting in a concert hall and not fidgeting. Features piano recitals and orchestral concerts in four different cities. The recording industry is not dead. It's just changing shape, with the best opera recordings coming out on home video long before they're released on CD, and whole symphony boxed sets repackaged as dime-store downloads. Our chamber of horrors. This year, instead of rehashing lousy performances, this section focuses on backstage drama and news coverage of a very strange year. Includes tales of injured conductors, on- and offstage drama, and the journey into the infinite undertaken by the New York City Opera. Plus singers falling off of stage sets. The end of the guitar room scene. Footage, dialogue from This is Spinal Tap © 1984 Embassy Pictures. MDB: Does that mean it's louder? Is it any louder? NT: Well, it's one louder, isn't it? It's not ten. You see, most blokes, you know, will be playing at ten. You're on ten here, all the way up, all the way up, all the way up, you're on ten on your guitar. Where can you go from there? Where? NT: Nowhere. Exactly. What we do is, if we need that extra push over the cliff, you know what we do? 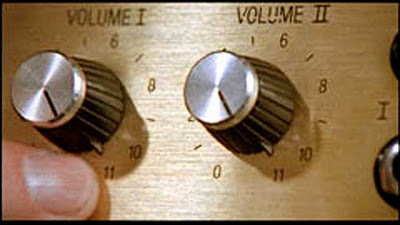 MDB: Put it up to eleven. NT: Eleven. Exactly. One louder. MDB: Why don't you just make ten louder and make ten be the top number and make that a little louder? NT: [pause] These go to eleven. 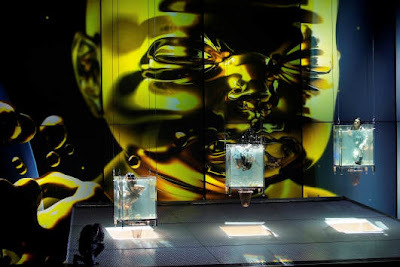 Weird scenes inside the gold mine: Scene I of the Valencia production of Das Rheingold. Pictures © the Palau de les Arts, Valencia © 2011 Unitel. Despite rumors to the contrary, the market for recorded music isn't dead--and neither are the record companies. There were some really good issues and reissues this year, including an exciting Ring Cycle on DVD and more Beethoven and Liszt than you can shake an ear trumpet at. Here's the 11 best recordings (audio and video) of the year that went to 11. "The effect is one of Wagnerian longing in this famous tune, drawing out the characters' nostalgia and inner anguish, expressed through this inspired melody. Elsewhere, the giant orchestra is adeptly led in the dance music for Marietta and the phantasmagoric carnival scene in Act II. " "This exciting disc of Rachmaninoff's most challenging concerto features Garrick Ohlsson meeting the work head-on. Mr. Ohlsson interlocks smoothly with Atlanta Music Director Robert Spano. They craft a thrilling ride through the work's three movements. An energetic set of Symphonic Dances demonstrates the quality of this Southern orchestra." "Hearing a symphonic score rebuilt for the piano often allows the listener to experience fresh details of tone and color that may be obscured by the wash of strings or the stentorian force of brass. For Sibelius, whose compositional style is focused on simplicity and clarity, the transcription process sharpens each musical idea to a diamond edge." 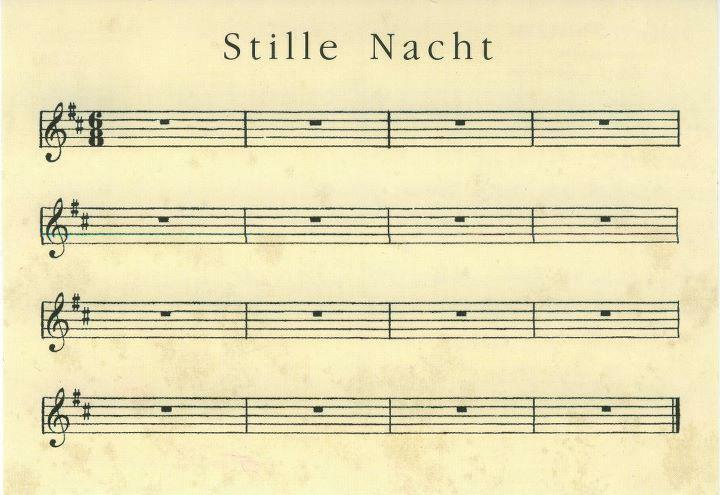 The opening "bloc" ofWunderhorn symphonies (Nos. 1-4) are solidly performed, with rich brass playing and energetic strings and winds. Mr. Zinman has a firm grasp of Mahler's treacherous rhythms, making the sudden celebratory dance in the middle of the Symphony No. 1 Marcia funebre lurch to playful life. 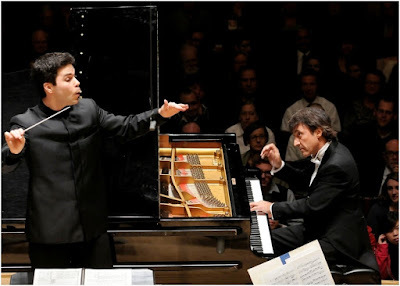 In this year of Liszt-o-mania (the man turned 200) Lang Lang unleashed this disc pairing solo piano excursions with an exciting recording of the First Piano Concerto with the Vienna Philharmonic under Valery Gergiev. "This set has been out of print for almost two decades, mostly because Daniel Barenboim decided to record a second Bruckner cycle in the 1990s with the Berlin Philharmonic. This older, analog set made in the 1970s offers the conductor's fiery first take on these classic works. It allows the listener to hear the early relationship between the young Barenboim and this great American orchestra." "The Princess imagines a happy domestic life as a '50s sitcom housewife. Carlo is her hard-working white-collar hubby, King Philip and Queen Elisabeth are their dinner guests, and Posa as the pizza delivery guy who shows up after Eboli burns the roast." "The whole endeavor is a bit of a throwback, to an age before tonmeisters and record company suits crammed the record shelves with mediocre Beethoven cycles led by egotistical conductors at the height of an unsustainable boom. By making honest music without the aid of modern machinery, the Viennese have done the impossible: they have come up with a fresh take on this well-known, well-loved music." "Behind all the flash (and java) is a solid retelling of the myths, steered by Mr. Mehta's steady hand in the pit and Carlos Padrissa's innovative (but not intrusive) directorial ideas." A near-complete Sibelius box set led by one of the finest Finnish conductors of our modern age. Originally issued by the Finnish label BIS, these sparkling, authentic recordings rise to starry heights and sink to dark, Arctic lows. Did we mention it costs five bucks? This heavyweight box features all the Liszt piano music. The sonatas, poems, concertos. The Années de la Pelerinage. The Hungarian Rhapsodies. Even the opera transcriptions and piano versions of orchestral works by Beethoven, Berlioz and Wagner. Alternate versions are included. Everything is played by the brilliant, scholarly Mr. Howard, who has dedicated his life and his piano careers to making this massive aural document. The year of the "new jack" maestro. Life saver: Sean Newhouse (left) stepped in for James Levine. Here, he conducts Prokofiev with pianist Jean-Efflam Bavouzet. Photo by Stu Rosner © 2011 Boston Symphony Orchestra. With disasters striking down a number of prominent conductors this year (Seiji Ozawa's battle with cancer, Riccardo Muti's fall and injury, and a whole stack of misfortunes for James Levine), 2011 was the year that young conductors stepped up to the podium and took charge. From Sean Newhouse in Boston to Yannick Nézet-Séguin in Philadelphia, this was the year of a continued youth movement on North American podiums. It was also a busy season for your favorite classical music blog. 94 concerts in four different cities. And seeing one more this week to make it 95. 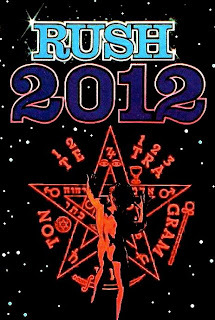 On to 2012! "Under Iván Fischer's direction, the taut polyrhythms and blasts of brass acquired a fearsome, battering force, hammering at the senses in a frenzied dance. A reprieve came with the second section of the ballet, but it was not to last." "Mr. Newhouse proved himself up to the task on Saturday night, leading a vigorous performance that balanced the extremes of this long, difficult work. The young conductor did more than just beat time--he offered his own interpretation of the work, making Mahler's last completed symphony a profound and deeply humanistic statement." "The pianist took his audience on a detailed tour of Liszt's travels in Switzerland. He drove the piano, playing from his shoulders, crossing hands for the most difficult passages and ranging across his instrument as Liszt traversed the Alps." "Mr. Andsnes brought a fiery approach to the first movement, conjuring up the stormy figures and near-fugal textures common to late Beethoven. The second movement was far more lyrical. The slow Arietta was played with quiet, poetic restraint." "Mr. Welser-Möst took a surprising, fast tempo for the opening movement, creating driving figures in the strings that moved the work forward and opened vast sonic vistas for the listener. This enabled the full 18-piece Cleveland brass section to cut loose with massive, block chords, voiced in stately, organ-like tones by horns, trombones and Wagner tubas." "The heavy, stentorian opening blared out with emphatic force. Mr. Gilbert drew inspired music-making from the veteran winds and strings, playing the uplifting main themes with emotion missing with some other conductors." Mr. Welser-Möst brought maximum clarity to this work, which had not been heard at Severance Hall in nearly four decades. The orchestra responded brilliantly, as the knotty musical lines untangled themselves and the work coalesced. The brass, asked to make difficult contributions in this work, responded admirably, as did the superb woodwind section. "Ms. Wang dived into the opening theme (a representation of Mephistopheles) and brought the wild energy of Faust's ill-fated adventures out in the early pages. The plunge into the abyss was chilling, ending in grim, matter-of-fact low notes." "The London Symphony Chorus was a force unto itself, declaiming the Latin text of the mass with the authority of the Metatron. The fiery incantations of the Dies Irae blazed forth with power. They were also key contributors to the success of the later movements, especially the slow-moving setting of the Agnus Dei." "The first movement's complicated cadenza held the audience breathless. The slow Intermezzo sang a sad Russian song. And the pell-mell finale, calling for the greatest degree of virtuosity from the pianist proved a thrilling experience." "Actress Caroline Dhavernas was a powerful, dramatic force. Her hair bound up and her dress plain (historically accurate, as Joan was tried wearing men's clothing), Ms. Dhavernas became a simple figure of faith standing up for injustice." They are the 99%. Tenor Roger Honeywell, soprano Meagan Miller and fine four-fendered friend. Act III of Die Liebe der Danäe at the Bard SummerScape. Photo by Corey Weaver © 2011 Bard Festival. This was a busy year. I saw a total of 69 opera performances. 5 of those were broadcasts or live telecasts, but they count. Anyway it's a sexier number than 64. 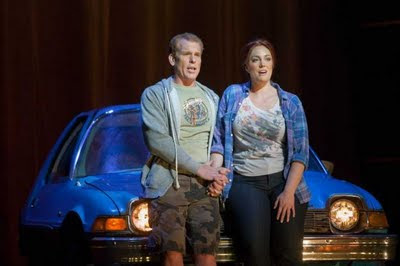 Here's the 11 best opera performances of 2011. Chronological order. "Kevin Burdette made an impressive company debut as Death, mugging with John Cleese-like abandon and delivering his noble, impressive music with flair. Heroic tenor John Mac Master was a good choice for Harlequin, Death's companion and a representation (I think) of the madness of war." "As the heroine Clémentine, soprano Elizabeth Calleo displayed a pleasing soprano with an unusual, woody timbre. She sounded best in the ensembles, paired with mezzo Marguerite Krull or the paired villains, played by Jeffrey Thompson and Karim Sulayman." "Isabel Bayrakdarian displayed an agile soprano instrument with a pleasing tone and the right amounts of light and shade. She also manipulated the complex costume (including a nearly prehinsile fox-tail) easily, coping with the challenging choreography on the somewhat limited stage." "Ylva Kihlberg was a magnetic, heart-tugging presence in the title role, a character created for the film by Icelandic singer Björk. Under Michael Schønwandt's skilled baton, Ms. Kihlberg seduced the listener, leading the audience in Selma's downward spiral." "The soprano part is both long and treacherous, all the way up to a high C# at the very end. Meagan Miller, a past grand finalist at the Metropolitan Opera's vocal competitions, handled the part with power and beauty of tone. Baritone Carsten Witmoser was a moving presence as Jupiter, a high baritonal part that is a mirror of Strauss himself." "Tassis Christoyannis sang with pleasing tone, tripping nimbly through the Champagne Aria and breaking out an unexpected, sweet head voice for his canzonetta in Act II. His death scene was well played: defiance turned to curiosity but never to fear as he met his fate." This is not your standard opera-style singing, but Mr. Kurt embodied the character with cynicism, warmth and energy. His Macheath was a homicidal dandy-about-town who owed something to Jack Nicholson's portrayal of the Joker in the 1989 Tim Burton film Batman. "Richard Croft combines his powerful tenor voice and skilled acting to inhabit the part of Mr. Gandhi. Although the nature of the text prohibits dialogue in the manner of a conventional biography, the singer uses movement and gesture to convey the story. He makes a physical transition as well, from suited, briefcase-toting lawyer to the more familiar figure of the Mahatma, clad in a homespun dhoti and carrying a staff." "Mr. Muhly writes for different types of female voices. He explores the different combinations effectively, having the five women sing in canon, or breaking them out into duets and later, arias. The musical idiom incorporates American hymns, folk music, Adams-style melodic fragments and straight melodic lines." Conductor Anne Manson held this complex score together with tight, sprung rhythms in the orchestra and clear delineation of tone-rows in the woodwinds. Add in the marching band, the offstage chorus and singers up in the balconies, and Peter Maxwell Davies' opera becomes a tough set of challenges. It came off razor-sharp. (Mr. Cutler is) an old-fashioned bel canto tenor who can sing with pliability, accuracy and still be heard over the orchestra. He did a splendid job, despite looking corralled in the close quarters of the concert seating. Honorable mentions: The Bartered Bride at Juilliard, Cardillac at Opera Boston (R.I.P. ), Otello with the Chicago Symphony Orchestra at Carnegie Hall, Ariadne Auf Naxos at dell'Arte Opera Ensemble, Moshe at HERE, Les Contes d'Hoffmann at Regina Opera, Bluebeard's Castle and Erwartung at the New York Philharmonic, L'Elisir d'Amore at New York City Opera, Guillaume Tell at Caramoor, Faust, La Traviata, Le Comte Ory at the Met, La Calista at Vertical Player Repertory. The second cast takes over in Faust. Malin Byström as Marguerite in Faust. The reason to hear Thursday night's performance of the Met's new Dez McAnuff production of Gounod's Faust was the house debut of Swedish soprano Malin Byström as Marguerite. As the opera's conflicted heroine, (central to this version of Goethe) Ms. Byström was not as dramatically mannered as her predecessor. 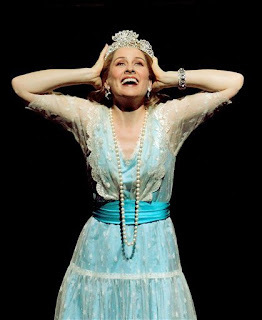 She sang the role simply and honestly, soaring to some impressive heights in the Jewel Song and generating real angst in Act IV, when the pregnant Marguerite is tormented by the Devil and kills her own child. Already established in Europe, Ms. Byström is an impressive singer with a secure technique and an interesting stage presence. There is great potential here. Should she rise to international fame, the Met might consider mounting Verdi rarity I Masnadieri for her. She has the very challenging soprano role (written for fellow Swede Jenny Lind) in her curriculum vitae. Roberto Alagna's high-energy stage presence and fluid, easy French was a pleasure of the evening. Although the singer celebrated Faust's return to youth with a surprise cartwheel across the stage in the first act, it was vocal acrobatics that the audience wanted. Mr. Alagna showed his experience with this opera, (this is his third production of Faust at the Met) blending well with his old partner René Pape as Méphistophélès. His finest moment came in the Act III aria "Salut, demeure chaste et pure," which he delivered with supple tone and a smooth legato. The tenor had a stage manager request the audience's indulgence in the pause between Act IV and V, claiming that he was ill and that he would attempt to finish. To be fair, he strained in the heavy orchestra in the (usually cut) Walpurgisnacht ballet. But he recovered for the final trio, helping to bring the prison scene to a thrilling climax. Mr. McAnuff's added last scene, where an aged Faust returns to the stage to drink poison (invalidating the whole opera) was played as a quick afterthought. Mr. Pape continues to excel as Méphistophélès, the embodiment of well-dressed evil. Making his entry in a natty white suit, Mr. Pape toyed with the other singers and the audience. Once more, he rocked the Song of the Golden Calf. He would offer ironic commentary at one point, tear through an aria at another, and play to the house with gusto, as if letting the spectators in on the magnificence of his maleficent design. Baritone Brian Mulligan gave a strong performance as Valentin, Marguerite's notoriously unforgiving brother. His burly stage presence and steady tone made this soldier an impressive figure, both in the famous "Avant de quitter ce lieux" and the Act IV duel with Faust. Mr. Alagna brought particular enthusiasm to this scene. He thoroughly enjoyed himself in the sword-fight. Mezzo-soprano Theodora Hanslowe, who inherited the role of Marthe after an onstage accident felled mezzo Wendy White, played along beautifully in the Act II quartet. Her interplay with Mr. Pape was a comic highlight of the performance. At one point, Marthe chased Mr. Pape across the back line of the stage, as if the Prince of Darkness would make a suitable date for Friday night. Also intact in this performance was the lyric, powerful conducting of Yannick Nézet-Séguin, who has particular command over the big choruses that pepper this score. The Met chorus also gave a fine, lusty performance, as the Act II and IV soldiers. Later, they brought cosmic weight to the forces of good and evil as Goethe's drama plays out in the final act. From our good friends at the New York Daily News. Merry Holidays. 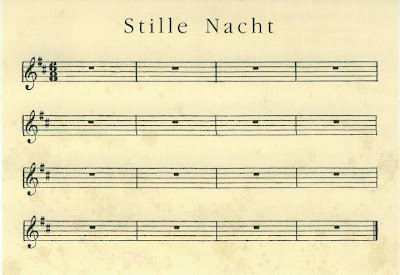 in the style of John Cage. Image originally posted on Facebook. Feel free to sing along if you know it. Happy holidays all, and Merry Christmas, if you keep it. Season cancelled, doors closed. Merry Christmas. 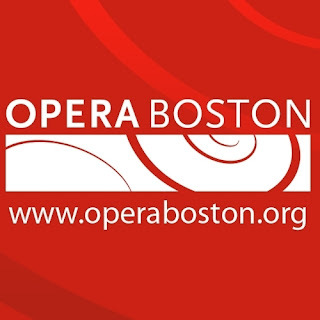 Opera Boston, the innovative company whose 2011 productions included a stellar version of Paul Hindemith's Cardillac and Hector Berlioz' Beatrice et Benedict, has announced that it will cease operations on January 1, 2012. According to a report in Boston Business Journal, the city's second-largest opera company faced "insurmountable" fundraising difficulties in 2011, despite good ticket sales and innovative choices in repertory. Opera Boston staged its performances at the 1903 Cutler Majestic Theater, located in the heart of that city's theater district. The company launched in 1993 with summer performances as "Opera Unlimited" featuring repertory like Thomas Ades' chamber opera Powder Her Face. Later that year, the company began its run at the Majestic with Leonard Bernstein's Candide and John Adams' Nixon in China. The announcement came 24 hours after employees were informed that the company was going out of business. "The company has had many artistic triumphs in its recent history," said company chair Winifred Gray. "However, as the end of the year approaches, we find ourselves in a financially untenable situation, and the responsible thing is to work with our creditors and cease operations." "The board realizes that this development will come as a shock to the Boston arts community, and it is not a decision we made lightly," Gray said in the statement. A planned Spring 2012 season would have included an eagerly anticipated performance of Sir Michael Tippett's opera The Midsummer Marriage, and Bellini's Shakespeare adaptation I Capuletti e i Montecchi. The last time a Boston opera company closed was in 1990 when Sarah Caldwell's Boston Opera Company shuttered its doors. The announcement leaves the Boston Lyric Opera as the city's main professional opera company. From the City Opera to the Battle of Lincoln Center. "As I rained blows upon him, I realized there had to be a better way... a Festivus, for the rest of us!!!" and his disciples Jerry and George. Image framegrabbed from Seinfeld "The Strike" © 1997 NBC. Today is December 23, the date some New Yorkers celebrate Festivus, the holiday invented at a toy store by one Frank Costanza while fighting over a Cabbage Patch™doll. * Originally observed every year in the Costanza household, Festivus is a simple holiday. It requires a large aluminum pole (instead of a tree.) At the Festivus table, there is a simple meal, followed by the Airing of the Grievances, and then something called the Feats of Strength. In the spirit of the season, we here at Superconductor celebrate Festivus with our first ever Worst-of list for 2011. There are eleven items on the list, in deference to the year. So set up the aluminum pole, and let's get to the worst things that happened in the classical music industry--or at least the ones that we covered this year. Ed. Note: The closing of Opera Boston happened the day after this piece went to press. We've added it to the bottom of the list. The Metropolitan Opera's 2011-2012 season was marred by all manner of cancellations. Ben Heppner and Gary Lehman both pulled out of the title role in Siegfried, the latter one week before the prima. Angela Gheorghiu cancelled Faust for this year, citing "artistic differences" with director Dez McAnuff. (She was replaced by Marina Poplavskaya.) Just to be sure, the Romanian diva cancelled her 2012 contract as well. It's a matter of some conjecture if she sings at the Met anytime soon. The decline and fall of the New York City Opera. This one had been brewing for a while. With its labor contracts up, the decision of NYCO general manager George Steel to ditch his company's longtime digs and embark on a (sort of) odyssey across New York recalls the decision by fictional British rock group Spinal Tap to replace their songs with the blues-jazz (or is it jazz-blues?) noodling of bassist Derek Smalls. This ongoing story includes a protracted battle with the unions for both the orchestra and chorus, a bitter dispute that is currently before a federally appointed mediator. Salvatore Licitra dies in a motorcycle accident. A number of singers passed away this year, but the most shocking death was the loss of the talented Italian tenor Salvatore Licitra. Following a motorcycle accident in his native Sicily, Mr. Licitra died of complications following a brain injury. He wasn't wearing a helmet. Labor troubles between symphony boards and musicians have been a common thread this year, with industrial action taken in Louisville and Detroit. But the venerable Philadelphia Orchestra became the first major American ensemble to file Chapter 11 this year. This was either a loud cry for help or an attempt to play hardball with the union. Eventually, the union blinked, and the season started on time. The effects of this action are still reverberating in Philadelphia. The Metropolitan Opera's new start times. As long as we're airing grievances, the Met's new 7:30pm start times make the relaxing activity of going to the opera house a mad dash through New York's subway system. Citing a survey of opera-goers taken in 2011, the Met pushed back all of their start times by half an hour. That's so people driving in from the suburbs can get home a little earlier, but a little hard on us New Yorkers. Maybe it's a plan to close area restaurants around Lincoln Center and sell more little sandwiches at the Revlon Bar? The most shameful act by the Metropolitan Opera this year. The company sent a "cease and desist" letter to Brad Wilber, an upstate librarian and author of the 'Metropolitan Opera Futures' page, a website that offered uncannily accurate predictions of forthcoming seasons at the Met. (The Met claimed that the site was making it harder to negotiate advance contracts with artists.) We miss Mr. Wilber's cybernetic crystal ball, which had a knack for telling you what was coming up on the Met schedule and what direction the company was heading in. James Levine's Labor Day slip. The ailing conductor was placed on the disabled list in May, stepping down from his Boston and Tanglewood obligations to rest and recover. On Labor Day weekend, Mr. Levine fell while walking in New England. Emergency surgery was required. As a result, Mr. Levine hasn't conducted anything since Wozzeck and Die Walküre in the spring. 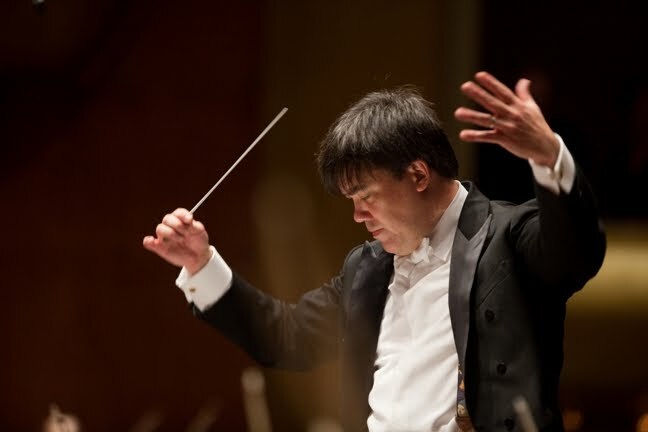 He is not scheduled to conduct at the Met until at least the 2013 season, but retains the post of Music Director. The Music Director's (literal) fall from grace led Met general manager Peter Gelb to elevate Fabio Luisi to the post of Principal Conductor at the Met. Mr. Luisi agreed to salvage the new productions of Don Giovanni, Siegfried, and next year: Götterdämmerung. But the schedule-shuffling required Mr. Luisi to cancel a number of European and North American commitments: concerts with the San Francisco Symphony Orchestra and the Vienna Symphony. He also bailed out of a Rome production of Richard Strauss' Elektra, three weeks before the premiere. The proud record label, which made the first major recordings of Herbert von Karajan with the Vienna Philharmonic and helped set the tone for the development of the modern classical recording industry is being folded into Vivendi, owners of Decca and Deutsche Grammophon. Will the EMI brand (which has been home to artists like Angela Gheorghiu, Roberto Alagna, Plácido Domingo and Jacqueline du Pré) survive into the next decade, or will it suffer the same fate as Philips Classics? 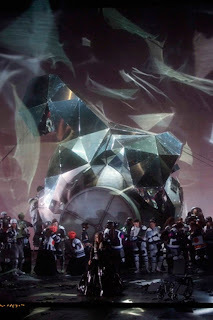 Miscues and malfunctions marred the 2011 premieres of Die Walküre and Siegfried, the second and third installments in the Met's new production of Wagner's Ring Cycle. Deborah Voigt fell off the set on opening night of Walküre. (She was OK.) The first two Siegfrieds had clunks, thunks, and one outright dead stop (in Act III) on the second night. The action was hastily moved to the apron of the stage. The Occupation of Lincoln Center--by the NYPD. On Dec. 1, the night Metropolitan Opera's final performance of Satyagraha, Lincoln Center was closed off. Hearing that Occupy Wall Street was planning a demonstration, the NYPD and Lincoln Center security barricaded the entire plaza against the arrival of peaceful demonstrators. This shameful behavior led to the Occupiers having their say on the sidewalk. Speakers included songwriter Lou Reed, his wife Laurie Anderson, and Satyagraha composer Philip Glass, who read from the Bhagavad-Gita. A late addition to this list--because it happened after this post went to press. On Dec. 23, two days Christmas, Opera Boston announced that it was ceasing operations, effective immediately. The company reported that it could not continue due to a $500,000 operating deficit and insufficient fund-raising. According to a report in the Boston Globe, six members of the 17-member board were against folding. So they weren't invited to the meeting when the company was folded. So much for democracy. 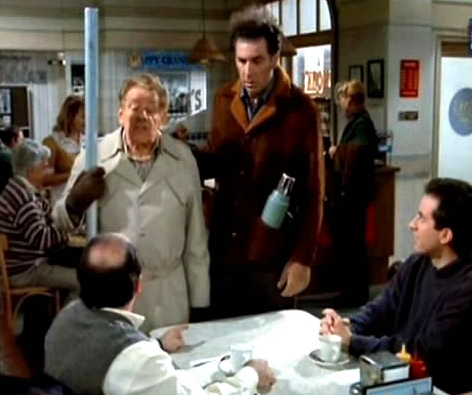 *According to Wikipedia, the "Festivus" holiday was actually invented in 1966 by Dan O'Keefe, whose son Daniel wrote the 1997 Seinfeld episode "The Strike." Hansel and Gretel at the Met. 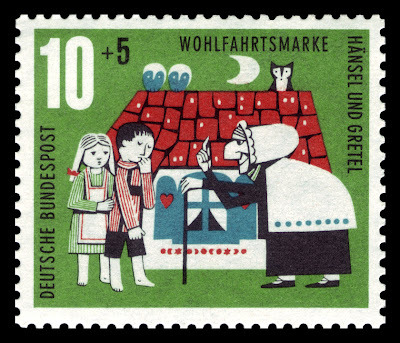 Act III of Hansel and Gretel. Photo by Marty Sohl © 2011 The Metropolitan Opera. The Metropolitan Opera marketing department touts Hansel and Gretel as its holiday offering, with a fairy-tale story geared toward children. It promotes images of friendly chefs, and a whimsical (fish-headed) waiter serving up dishes to two hungry tykes lost in the woods. But in choosing to revive Richard Jones''s food-obsessed production (originally seen at the Welsh National Opera in 1999) the company has missed the point of the work. A short reflection on Puccini's birthday. in Act II of Turandot. Photo by Marty Sohl © 2009 The Metropolitan Opera. Today we celebrate the 153rd birthday of composer Giacomo Puccini, the last of an iconic line of Italian opera composers. And I'm celebrating by focusing on an opera he never finished: (my first opera ever) Turandot. It all started with Puccini for me. My parents took me to see Turandot at the New York City Opera when I was just nine years old. I don't remember everything about it, but I did like it enough to want to see La bohème a few weeks later. This was back when City Opera had their performances in the summer, so my parents had the time to take me. Although Puccini's last opera, a blood-thirsty mixture of fairy-tale and Asian exoticism, is not the ideal starter opera, the story appealed to me. It was about riddles and solving problems, and the guy got the girl in the end. Of course, it's a little different when you're grown up, but I was hooked, and hooked early. Two things stuck with me about that Turandot. First, the riddles. I spent hours poring over them in the libretto, trying to fathom why the answers were "fire," "blood," and "Turandot." The second was the three "masque" characters of Ping, Pang and Pong, who serve as a miniature Greek chorus, commenting on the action and presenting the face of Chinese government bureaucracy. I know that everybody waits with baited breath for "In questa reggia," the Riddle Scene or the famous "Nessun dorma." 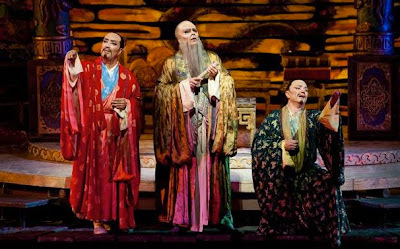 But for me, Turandot is all about "Ho una casa nell'Honan", a moment of relative peace in the lives of three bureaucrats stuck in the middle of the Chinese court. Here, Ping (the Grand Chancellor), Pang (the General Purveyor) and Pong (the Chief Cook) long for the simple pleasures of country life. This is their featured scene from Act II, Scene 1 of the Met's Franco Zeffirelli production, filmed on April 4, 1987. Brian Schexnayder is Ping. Alan Glassman is Pang. Anthony Lanciura is Pong. Or Trapped in the Metropolitan Opera House! "There's got to be a way out of this place! But where?" 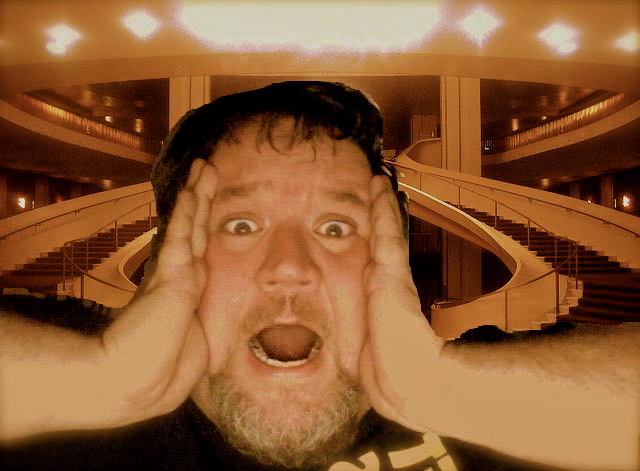 The author, trapped somewhere in the Metropolitan Opera House. The (Metropolitan Opera House, located at W. 64th St. and Amsterdam Avenue) is big. Really big. It's so big you can't imagine it. Well, it's not quite as huge as Douglas Adams' description of the infinities of the universe, but the building is actually a 57-story skyscraper, lying on its side in the middle of Lincoln Center. a great big clunking machine. Two bottles of vino, and a great big clunking machine. Three French tricks, two bottles of vino, and a great big clunking machine. And a great big clunking machine. Seven lawyers litigating, six heavily armed peasants, fiiiiive great big clocks! six heavily armed peasants, fiiiiive great big clocks! And a great big clunking machine!!!! La Fille du régiment marches on at the Met. in Act I of La fille du régiment. Photo by Marty Sohl © 2011 The Metropolitan Opera. Ever since its premiere in 2008, Laurent Pelly's cheerful production of Donizetti's La Fille du régiment (The Daughter of the Regiment) has been a showcase for young singers of bel canto repertory with something to prove. On the Monday, December 19 performance, the role of Tonio is taken by American singer Lawrence Brownlee, a versatile tenor with good comic timing, boundless energy and a mustard-keen stage presence. Mr. Brownlee has sung this role before at the Met, but this is the first run of La Fille that has him as the unquestioned leading man. He handled all of the challenges of this role, from looking good in lederhosen to hitting nine high C's in rapid succession in the aria "Ah mes amis." THIS ███████ CAN BE CENSORED. Concert Review: No Bears Allowed!